The Tennessee state legislature recently approved the Healthcare Empowerment Act which, once signed into law, will go into effect in July. This Act essentially protects the practice of direct primary care (DPC), an approach that is gaining popularity among doctors in Tennessee and across the nation. But what, exactly, is direct primary care and how does it differ from more traditional practices? With traditional primary care, patients generally find physicians through their insurance company by choosing a doctor who is an in-network provider. They schedule a visit with the provider, who gets paid by filing a claim for the services. The patient pays his or her copay and any other coinsurance that applies for the services provided. With direct primary care, there is no insurance company involved. 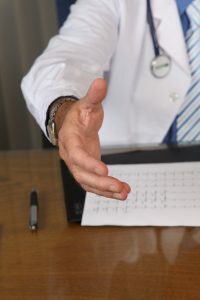 The patient agrees to a contract directly with the doctor, generally paying a fixed rate to cover certain basic services like routine visits and lab work. Additional charges may apply for special tests or services, but those are all specified ahead of time. And, while the monthly charges and other fees won’t count towards any deductible or out-of-pocket limits that may apply with the patient’s health insurance plan, they also don’t have to go to the added trouble of filing claims or reconciling charges. In fact, many direct primary care physicians don’t even accept insurance. The reason for the Health Care Empowerment Act was that doctor’s practicing as direct care providers were in danger of being classified as insurance companies. By labeling them this way, they would be regulated by the Department of Commerce and Insurance. Classifying DPC doctors as insurance companies would essentially eliminate their ability to continue to practice as such. The Act clarifies that direct care physicians are not insurance companies and cannot be treated as such. So, if a patient can arrange to be treated by a direct care physician for a nominal monthly fee without having to worry with the hassle of filing insurance claims, you may be wondering why insurance is even necessary. Well, there are several reasons. First of all, the Affordable Care Act requires those who can afford it to carry health insurance, or else pay a fine. However, more importantly, DPC contracts don’t cover everything. Services like cancer treatment or surgical procedures would be billed separately and their costs could be astronomical. Think of it sort of like having auto insurance. You’re on your own for routine maintenance, like oil changes and tire rotation. However, if you’re in an accident your insurance steps in to cover the costs. But isn’t that a bit redundant? If a patient has health insurance as well as a DPC arrangement, then they actually do have duplicate coverage. That’s why the Healthcare Empowerment Act suggests that Tennessee residents first review their health plans to see what they cover before entering into a DPC contract. But there are several reasons a patient might consider having both. One is that many consumers have a lot of out-of-pocket costs for routine visits and services. If your deductibles and copays are high, you might benefit from paying a lesser amount directly to your doctor rather than using your insurance. Another reasons is that many people place a lot of value on their doctor-patient relationship. Those who use a DPC provider say their doctor visits are much more productive, with some DPC providers even making house calls or giving patients their home or cell numbers. Click here to read more about the Act and its implications.